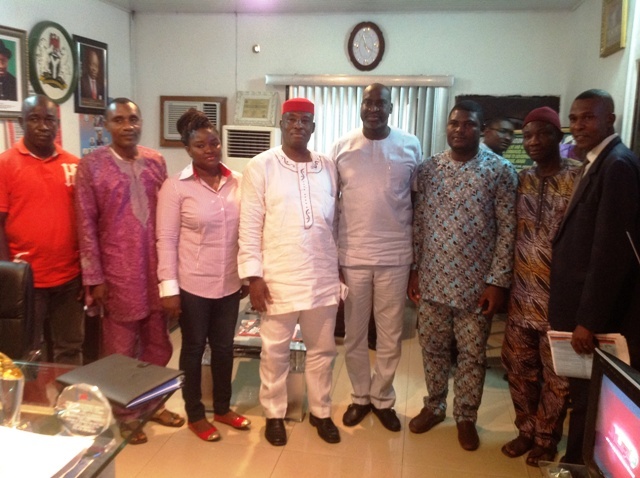 Members of AMN pose with the Asagba of Asaba, Asagba (Prof.) Chike Edozien and the Asagba-in-council, when the group paid a courtesy call to His Royal Majesty in his Palace. 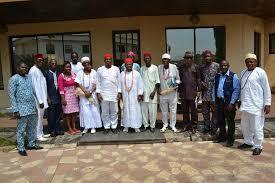 A pan-Anioma civil society media group, the Anioma Media Network AMN, has dissociated itself from the activities of some unauthorized persons using the name of the body to honour prominent persons in the society. A statement signed by the acting Secretary of the group, Mr. Tony Okunebe states that Anioma Media Network is the umbrella body of Anioma Media practitioners and should not be used by persons who do not belong to the body as a platform to extort prominent public office holders, corporate citizens and other well meaning individuals for personal purposes or gains by unscrupulous elements. The statement further enjoins all bonafide members to be on alert and report anybody involved in these unauthorized actions to the secretariat for the immediate disciplinary action. Members of AMN with former Delta State Commissioner for Information, Barr. Chike Ogeah, during a courtesy visit to the Commissioner in his office. The body, which has been in existence since 2014, recently held its inaugural meeting for 2017 and formally dissolved its former executive council, even as it appointed Mr. Tony Okunebe to function as the interim Secretary, pending the election of a new executive body that will pilot it’s affairs. “We wish to inform and ask members of the general public to be wary of anybody coming to seek to honour them with an award. Any person or group of persons who are not members of AMN, are not allowed to use the name without authorization by the body and will be reported to the relevant law enforcement agencies, even as appropriate legal action will be instituted against such impersonators” the statement warned.